As mentioned, White Fence‘s new album, Cyclops Reap, is out this week on John Dwyer’s Castle Face label. Tim Presley doesn’t seem to be running out of songs and this is another quality batch of paisley-scented psychedelia. You can stream “To The Boy I Jumped In The Hemlock Alley” below and hear the whole record over at Pitchfork. 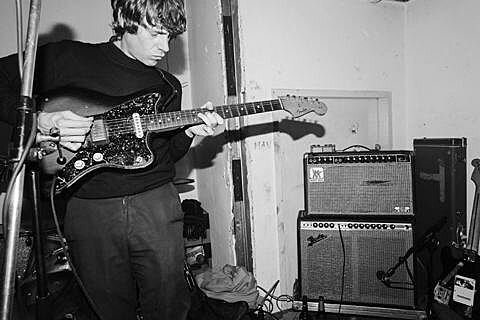 White Fence will be in Brooklyn for the Northside Festival in June, playing two shows: the Panache showcase at Brooklyn Bowl on June 13 and then a late show at Knitting Factory on June 14. Tickets to the Knitting Factory show are on sale now; no word on Brooklyn Bowl tickets just yet. The whole Panache showcase line-up is still forthcoming but we do know its being headlined by Mac DeMarco and we have updated dates for him below as well. These are just a couple of the additions to the 2013 Northside line-up that includes that free Walkmen show in McCarren Park. Other new additions, Kylesa, Torche, Sonny & the Sunsets, Nü Sensae, Kisses, The Luyas and more. Northside line-up as it stands now is below.